The 2019 ASPECT AGM will be on the 6th September 2019 at Holden Bars and online. We plan to repeat the business intelligence survey during August, only this time the APM, APMG and Axelos have said they will share it to a wider group of training providers. The theme for the meeting will be Agile Thinking in an Uncertain World. 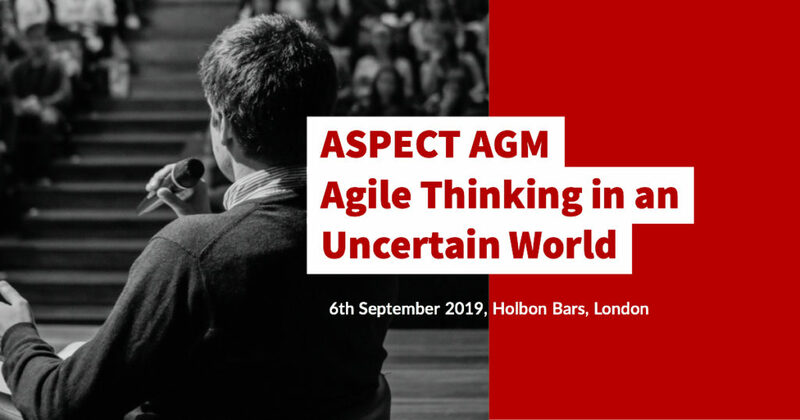 Book your place here https://www.aspect-association.com/event-list/#!event/2019/9/6/aspect-agm-agile-thinking-in-uncertain-times.